The Manufactured Housing Association for Regulatory Reform (MHARR), in comments filed with the U.S. Department of Housing and Urban Development on April 16, 2019 (copy attached), has voiced its support for the proposed repeal of the red “Formaldehyde Health Notice” required to be “prominently displayed” in every HUD-regulated manufactured home (but not other types of homes) since 1984, pursuant to 24 C.F.R. 3280.309. The repeal of the “Health Notice on Formaldehyde Emissions” mandate is part of a broader HUD-proposed rule, which – as required by the Formaldehyde Standards for Composite Wood Products Act of 2010 – would conform HUD manufactured housing standards concerning formaldehyde standards, testing and labelling with standards adopted generally by the U.S. Environmental Protection Agency (EPA) for composite wood products in accordance with that law. 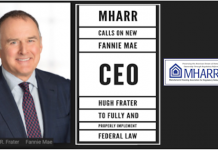 While MHARR has long advocated the repeal of the HUD formaldehyde notice as a discriminatory imposition on manufactured homes constructed with the same materials as other types of homes not subject to any such mandate, and specifically called for the repeal of the HUD “Health Notice” in 2013 comments to EPA, the proposed repeal of the HUD “Health Notice,” in and of itself, does not end the longstanding practice of baseless discrimination against HUD Code manufactured homes with respect to formaldehyde emissions and related mandates. Rather, that pattern and practice is continued with the EPA standards (and the parallel HUD proposed standards) insofar as HUD-regulated manufactured housing is designated as a “finished good,” and therefore subjected to certain related regulatory requirements, while site-built homes are expressly exempted from the definition of a “finished good” contained in EPA’s 2016 final rule on formaldehyde standards. As MHARR noted then, and continues to press with relevant agencies and federal officials, there is no legitimate basis whatsoever, for exempting site-built homes, but not manufactured homes from the definition of a “finished good,” particularly when no such exemption was contained in EPA’s original proposed formaldehyde rule. 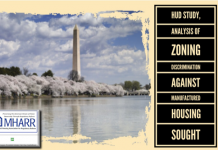 Accordingly, while MHARR supports the repeal of the discriminatory HUD “Formaldehyde Health Notice,” it continues to strongly object to EPA’s blatant double-standard – and continuing discrimination against manufactured housing – with respect to the “definition of a “finished good” and formaldehyde mandates related thereto. In the event that you wish to comment individually on this matter, please feel free to reference or quote MHARR’s attached comments. The following comments are submitted on behalf of the Manufactured Housing Association for Regulatory Reform (MHARR). MHARR is a Washington, D.C.-based national trade association representing the views and interests of producers of manufactured housing regulated by the U.S. Department of Housing and Urban Development (HUD) pursuant to the National Manufactured Housing Construction and Safety Standards Act of 1974, as amended by the Manufactured Housing Improvement Act of 2000 (42 U.S.C. 5401, etseq.). MHARR’s members are primarily smaller and medium-sized independent producers of manufactured housing, located in all regions of the United States. On March 22, 2019, HUD published a proposed rule in the Federal Register to implement various aspects, described therein, of the Formaldehyde Standards for Composite Wood Products Act of 2010, incorporated as Title VI of the Toxic Substances Control Act (TSCA).In relevant part, that statute – and regulations adopted thereunder by the U.S. Environmental Protection Agency (EPA) — established new formaldehyde emissions standards for all hardwood plywood, medium-density fiberboard and particleboard wood products, including such materials incorporated into “finished goods,” that are sold, supplied, offered for sale, manufactured, or imported into, the United States. The statute also directs HUD to amend its manufactured housing formaldehyde emissions standardsto ensure consistency with the EPA formaldehyde standards “not later than 180 days” after the promulgation of those standards. As MHARR noted in its original September 9, 2013 comments to EPA on proposed formaldehyde standards pursuant to the Formaldehyde Standards for Composite Wood Products Act of 2010, manufactured homes, regulated by HUD pursuant to federal law, have been subjected to HUD formaldehyde emissions standards for plywood and particleboard since 1984– i.e., for 35 years– a time period during which there were noparallel or comparable federal formaldehyde emissions standards of any kind for site-built homes, constructed using the exact same types of materials. Yet, HUD-regulated manufactured homes,despite complying with formaldehyde emissions standards that were not imposed on site-built homes, were required by 24 C.F.R. 3280.309 to display the red-print “Formaldehyde Health Notice,” while no such notice or warning was required for site-built homes – with obviously-negative impacts on sales and utilization of manufactured homes. 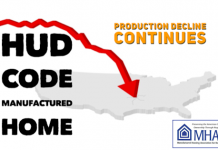 And now, even though HUD is proposing to eliminate the “Formaldehyde Health Notice” from the federal manufactured housing standards, federal discrimination against manufactured homes would continue, insofar as the final EPA formaldehyde emissions standards rule exempts site-built homes – and onlysite-built homes – from the definition of “finished goods” and the regulatory mandates related thereto. 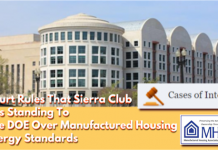 As MHARR stressed in May 1, 2017 verbal and written comments to EPA, the final EPA rule “effectively discriminates against manufacturers using a particular building process [i.e., HUD Code manufactured homes] with no rational basisto support any such distinction.” The EPA rule, moreover, effectively discriminates against manufacturers building homes in accordance with the one-and-only federal building code, i.e., the Part 3280 Manufactured Housing Construction and Safety Standards. 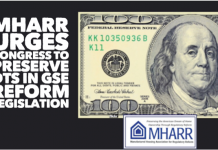 Accordingly, MHARR calls on both EPA and HUD to reject this baseless discriminatory mandate on HUD Code manufacturers. For all of the foregoing reasons, MHARR supports the proposed rule insofar as it provides for the repeal of the of the “Formaldehyde Health Notice” currently mandated by 24 C.F.R. 3280.309 and the elimination of existing requirements that are inconsistent with TSCA Title VI. 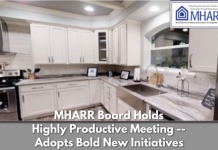 MHARR, however, continues to strongly object to the inherently discriminatory exemption of site-built homes from the definition of “finished good” contained in TSCA Title VI and formaldehyde standards and compliance requirements related thereto. See, 84 Federal Register, No. 56, March 22, 2019 at p. 10738. See, 24 C.F.R. 3280.308, 309. See, 84 Federal Register, supraat p. 10740, col. 1. See, 84 Federal Register, supraat p. 10741, col. 2-3.